Having not stocked The Last Story or Tekken 3D: Prime Edition it has been confirmed that another Nintendo release has been hampered by GAME’s financial woes. Mario Party 9 becomes the latest victim, and won’t be available either through GAME or Gamestation stores or online, Eurogamer reports. This is the third consecutive title published by Nintendo throughout Europe that has been affected, with Nintendo rushing to clarify to fans that the game will still hit other retailers. “Available to buy on the high street via Argos, Asda, Tesco, Dixons Stores Group, GameStop, Sainsburys, Smyths Toys, Toys R Us, HMV, Blockbuster or online at Amazon, The Hut, Play.com, zavvi.co.uk, johnlewis.com and Littlewoods.com as well as most good games retailers, Mario Party 9 is a must-have for all Mario fans this March”. 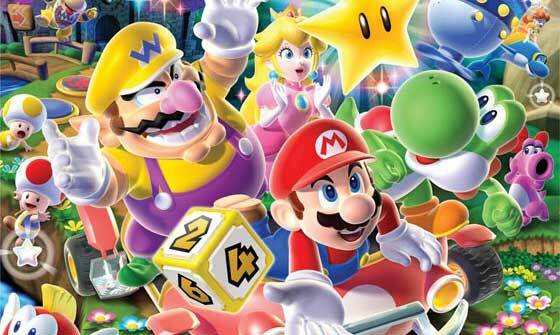 Mario Party 9 will be available for Wii across Europe on March 9th.